Kanye West totally blindsided Billboard Music Awards producers when he performed the n-word laced version of his hit, "All Day" ... and forced the censors to stand on the audio dump button. Production sources at the award show tell TMZ ... Kanye never did a dress rehearsal of the song, so they just expected him to be on his best behavior, and perform a clean version. One source said, "He knew it was national TV." We're guessing that's exactly the point, and Kanye knew exactly what he was doing. Think about it ... his closing act is the one everyone's talking about -- even though they couldn't hear or see most of it. The production source told us ... "He's Kanye. What are we supposed to do?" By the way, Kanye not doing a dress rehearsal isn't THAT odd. Mariah Carey also skipped hers ... and several sources told us that's just what happens for top of the A-list acts. 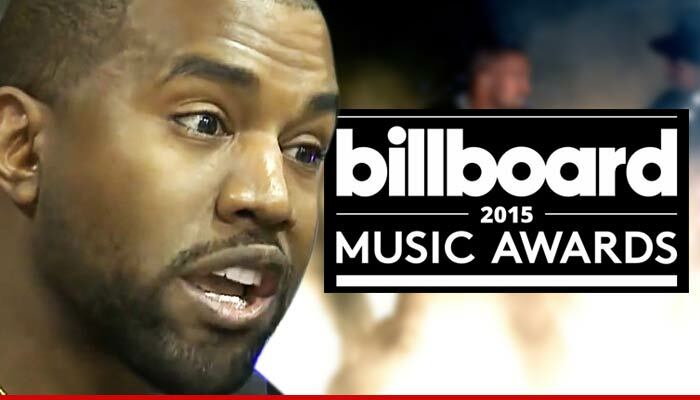 One Direction -- We Won a Billboard Music Award ... That's NUTS!! !